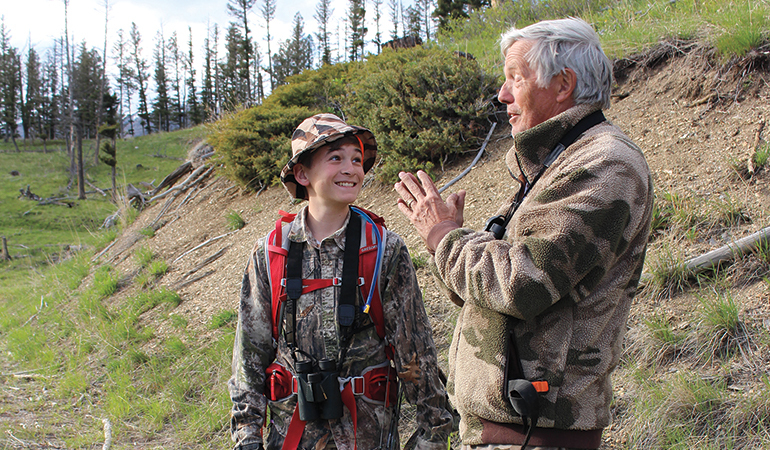 My grandson, Dieter, and our host Jon Fossel are having fun on a Montana bear hunt. It's okay to be serious about bowhunting - but not too serious! And isn’t that why we’re in bowhunting? Fun? I would say absolutely, yes. Think how most of us first got into bowhunting. Most likely a parent, grandparent, or friend took us to the field. Maybe we didn’t know anything about hunting, or even why we were there. But it was a good experience. We had fun. We wanted more. For our own personal future as hunters, and for the future of our sport, I think it’s critical to always recognize this foundation. Fun is what got us into hunting, and fun is what will keep us there. The problem is that with experience, some of us get diverted. Maybe this is just a guy thing, but a lot of us guys simply can’t do anything without competing. We started hunting for fun, but before long we have to be killing the first, most, or biggest animals, and proving ourselves to the world. One-upmanship becomes our driving force, and hard feelings result. Competition trumps fun. Recognition does, too. A hunter is going along, just having a good time. But then he kills a couple of big animals, and people take notice. Basking in the adulation, he switches from the fun of hunting to the glory. No doubt hunting videos, YouTube, and TV have helped fuel this obsession, and a healthy, well-deserved spark of recognition suddenly ignites an explosion of ego. Along with that, some of us simply take bowhunting too seriously. I have certainly been guilty of this. While building my writing career, I began to feel pressure to succeed, to get story material and video footage. After a while that became my focus, and I commonly forgot about having fun. I constantly felt driven to produce, and when things didn’t go as planned, my joy turned to frustration, defeat, and even anger. Good grief! By taking this all too seriously, I was ruining some wonderful moments. I’d forgot to have fun. Chill! While those are mostly personal traits, I think the outdoor industry has helped fuel a shift. With zeal to convert and recruit hunters, the industry may be pushing the wrong product. What do most media emphasize? 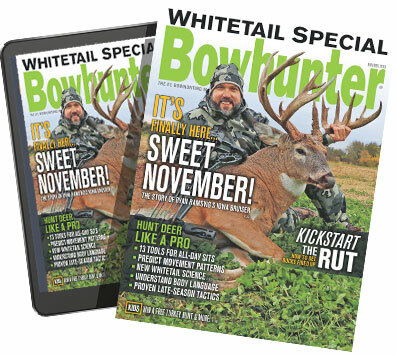 Magazine articles list 10 steps to killing more game, ways to find bigger bucks, how to slay trophy bulls. Writing slants toward success, winning, and glory. Ditto advertising. Many ads feature guys with giant whitetails, monster elk, and walls covered with trophy heads. They hype blazing arrow speeds, more victories, and greater stature. They try to lure people into bowhunting on the basis of results and accomplishments. Videos? Same thing. In essence, they distill bowhunting into nonstop action, giving the impression that bowhunting consists of constant victory. These aren’t wrong in themselves, but when they’re promoted as the sole benefits of bowhunting? That’s where we lose people, because we’re virtually selling disappointment. Not everyone can kill the biggest animals, be the best hunter, shoot the hottest bow, or win the most tournaments. Big promises might hook people for a time, but for good? If they can’t attain the advertised standards, they may very well lose heart and drop out. To me, promoting lofty goals based solely on success is a dead end. It works in the short term, but it buys few lasting converts. The promise of fun will last a lot longer, because everyone can achieve fun in the field. That’s why I think we will recruit and hold far more people, and maintain our own enthusiasm for the hunt, by promoting the joy, pleasure, and fun of hunting — the traits that hooked us in the first place. It breeds deep roots. Fun. All hunters can relate to that. Regardless of ability or aspirations, everyone can enjoy the process, and most will be hooked for life. Just for the fun of it.